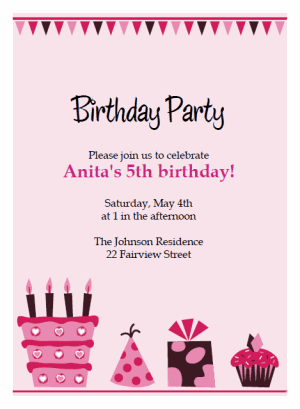 These printable birthday party invitations are perfect for just about any birthday bash. This invitation template comes with a matching thank you card, and is also available in three different color combinations so hopefully there is something for everyone! If there is a different color combination you'd like to see included let us know! We may decide to add it. 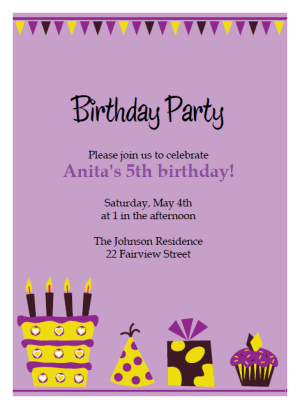 These printable invitations are easy to use and personalize with your own wording, fonts, and font colors. 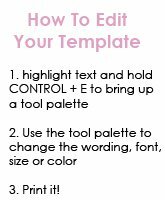 Just download our template, highlight the text you wish to change and go to work. Print them onto a paper of your choice form the comfort of your own home, and use our handy cutting guides to cut the invites down to 5" by 7". 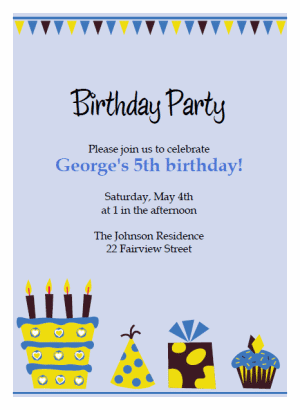 Use the invitations as is by printing onto heavy cardstock, or jazz em' up by adding decorative paper, ribbon, bellybands, or even pair em' up with a pocketfold or pochette!